Try the New “Cazuelas” at Casa Sol y Mar! New dish alert! Some of our guests have been lightening up their favorite dishes by ordering them tortilla-less – and have loved the results. 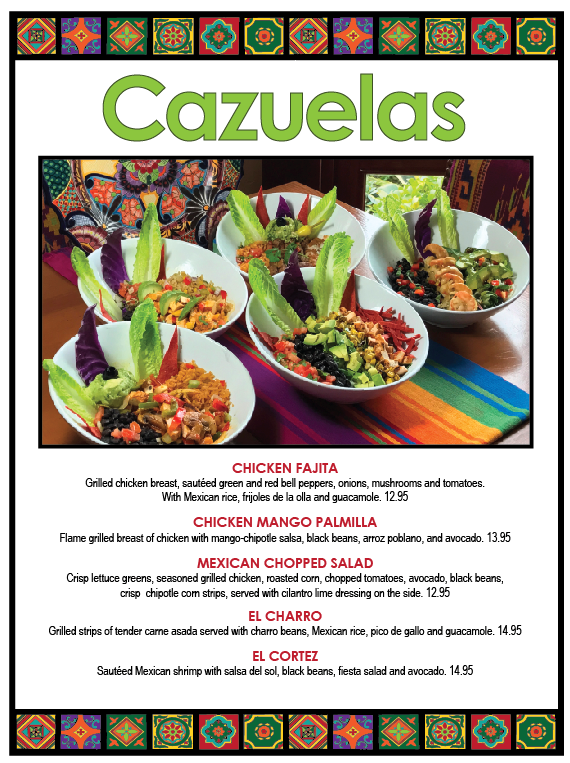 We’re now sharing these delicious creations with everyone, so come try one of our new “Cazuelas” for yourself!